wow i didnt even know the brake bleeder screw had a torque value. Sorry, thanks for pointing that out. I was talking about the rotor screws. I would not torque the wheel lug nuts past 96 lbs. until there is an official bulletin to go to 118lbs. Harvey - thought I'd say hi from Parrish. Do you do anything with Suncoast PCA? I can say I'm involved a little. I usually attend the monthly date night if it's not too far away. The Holiday parties and always fun. I was the working assignment chief in prior years at the autox's till they moved the venue to Brooksville. Way to far to drive. Next weekend I'm doing volunteer work on Saturday & Sunday at the Porsche 48hours @ Sebring. Also, I spend time driving at Sebring. For an old guy like me, it keeps the heart pumping and makes me feel like Paul Newman when he are driving. Since I'm retired, I could meet some time for lunch at Wood'y Roo. You can PM me. Does anyone know the torque value for the rotor drive pins for a 997.2 GTS with center lock wheels? Here is a picture of the drive pins screwed into the rotor hat. Please let me know if these have a torque spec. 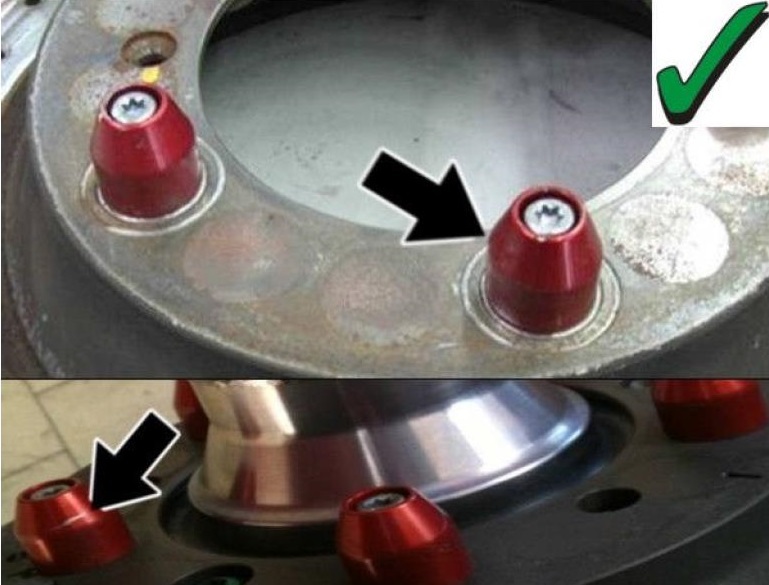 does anyone know the real answer why the 997 wheel lug nuts supposedly carry higher torque values than once before? why would Porsche retroactively apply it to early 997 cars but not in a definitive sense ("118 ft lbs or 96 ft lbs" or something like that)? it's a 20+% increase, that's not a small amount, or is it? any master techs out there care to opine? Anyone have the exhaust manifold torque spec for a 997.2 C2S? I can't seem to find it anywhere. I found 17 ft lbs. Is this manifold to block? I'll update the thread. Anyone, any other values I should add? 17 ft. lbs. is the header (or manifold) to the head. Do the mounting bolts for the seats have a torque spec? Does anyone know the torque spec for the two cooling system drain plugs below the water pump on a 997.2 ?